“The life of the moon may not be on the surface, but inside. The egg is glowing now, as if it had an energy of its own. To look at the egg gives me intense pleasure. The sun goes and the egg fades. In a medium saucepan, bring the water, coconut milk, rice, ginger and salt to a simmer on medium high. Turn the heat down to medium low, cover with a lid, and cook until very little liquid is at the bottom of the pot and the rice is cooked through, stirring occasionally about 10-15 minutes. 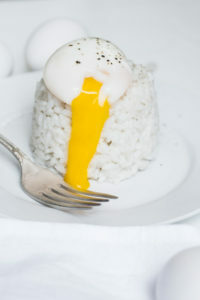 Leave the rice with the lid on to cool slightly while you poach the eggs. When you serve it should be between the consistency of risotto and sticky rice, depending on the rice you used. 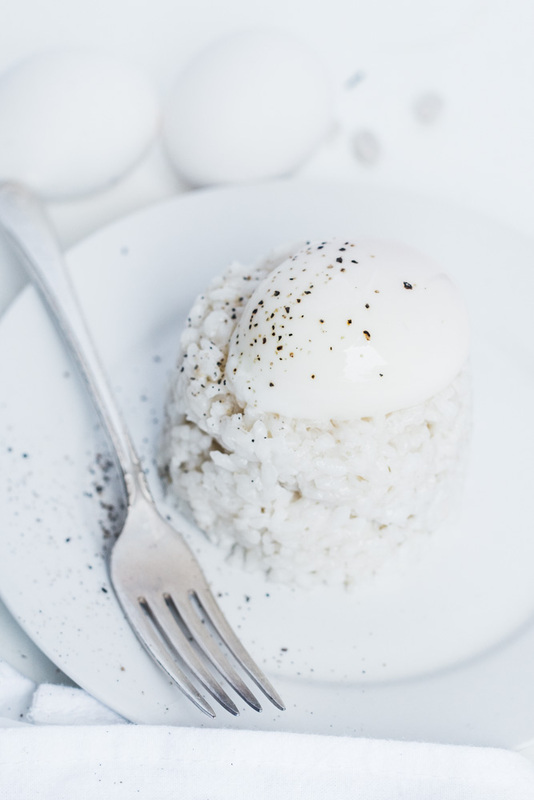 Place the rice in a shallow bowl and top with poached egg and green onion slices.